As we left Austin, TX, I was sad because I didn’t think I would be able to find many “organized” hooping events in the Midwest. And while there aren’t as many meetups to choose from, I was pleasantly surprised to find a small community of hooping enthusiasts in Des Moines! On our last weekend in town, I just happened to come across a card that a friend had given me for a free week of yoga at Firehouse Yoga. So I went to their site to see when the classes were…and LO AND BEHOLD! There was a hooping class scheduled for the very next day! I let out an audible *GASP* and ran downstairs to tell anyone who would listen 🙂 It turns out that the woman who runs the class is good friends with the friend who had given me the card in the first place. Ahhhhh the serendipity. Love it. 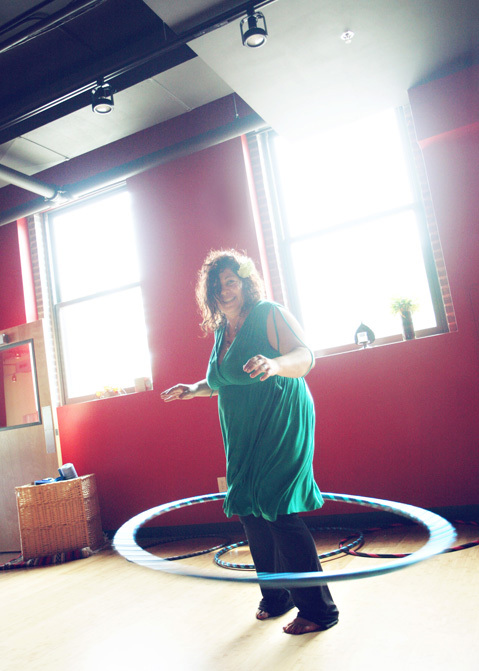 Dawn is the hooper extraordinaire who lead us in our spinning adventures on Saturday. She is a sweet soul who teaches new movements with ease and makes everyone feel comfortable, regardless of their skill level. She had just gotten back from a hooping event with Hoopmamas in the Kansas City area…oh how I wish I could have gone to that! If you are new to hooping, don’t be afraid to seek out ANYTHING and everything hoop related in your area! Even if it’s just a few other hoopers getting together in a park…GO! You will be amazed at what you can learn. Everyone does their tricks differently and has a different “style. 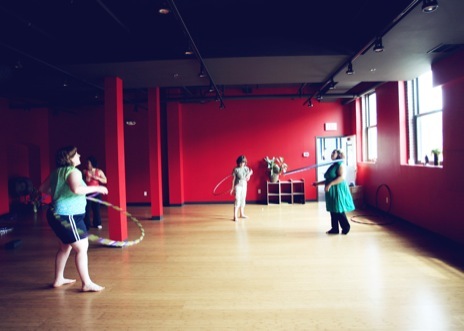 Every time I gather with other people hooping, I come away inspired and excited…with a few new movements to work on! To find other hoopers in your area, you can check out Meetup or check the regional forums on Hoop City. Or, as I have said before…START YOUR OWN GROUP! 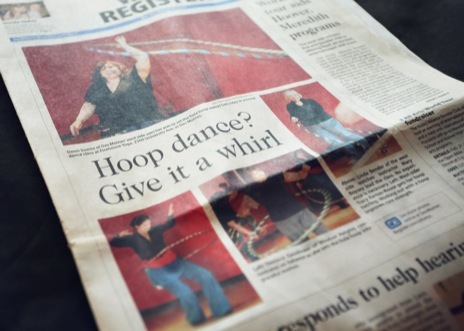 Here is a great “how to guide” from SaFire if you want to gather some local hoopers. Thanks for the hoopin’ fun Des Moines!